Back in October, 2014, I had a chance to check out Batch No. 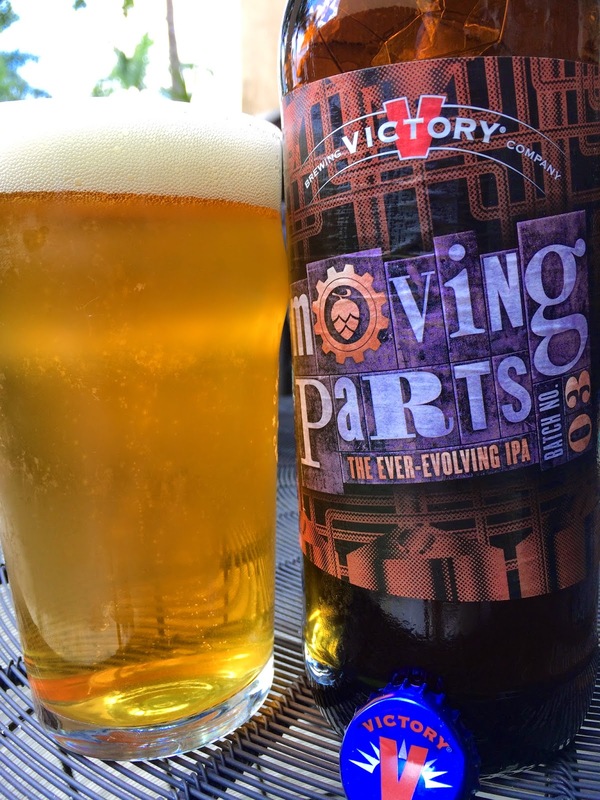 02 in Victory Brewing's Moving Parts series. (I missed Batch No. 01). Today, I'm checking out the next version in this IPA series where Bill and Ron "celebrate by tweaking an ingredient or two". 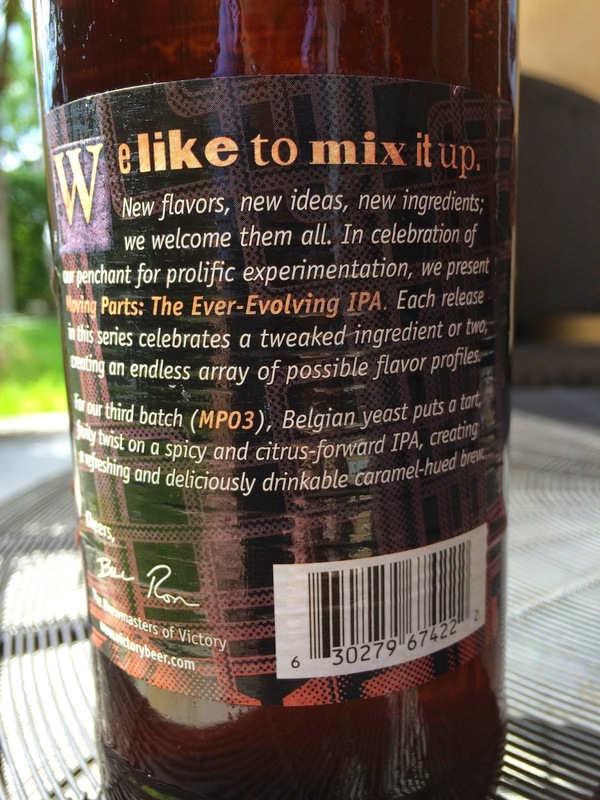 Moving Parts: The Ever-Evolving IPA Batch No. 03 (MP03) is a Belgian-style IPA, so it's the yeast in this bomber that is switching things up! Enjoy By 19 JUN 2015. 6.6% alcohol. Decent citrus aroma though not very strong. Fruity flavors at the start remain dominant throughout. Citrus orange and lemon meet some sweeter passionfruit flavors. The Belgian yeast was fairly subtle, providing a tangy and spicy flavor profile in the background. Grassy, a little sharpness and bite at the palate, and the beer definitely leans bitter. However, there is some sweet balance, maybe a little sugar and honey. Definitely a combination Belgian and American IPA, the styles converging, not really "all out" one or the other. Finish is dry. Pretty good. Enjoyable! This will be on the shelves until the end of April at which time MP04 will start rolling out. Can't wait to see what tweaks Victory does for that one!